PRAGUE -- The much-acclaimed Iranian film, "A Separation," headlined Prague’s inaugural Iranian Film Festival this week, in a showcase event highlighting the best of Iran’s distinguished film industry. Ashgar Farhadi’s film has received plaudits in Iran as well as in the international film community after being the first Iranian film to win the prestigious Golden Bear award at the Berlin International Film Festival and being nominated for Best Foreign Language Film at the Golden Globe Awards in the United States. The Golden Globes will be held on January 15. "A Separation" explores the complex issue of migration and poses an uncomfortable question that has confronted a generation of Iranians living in Iran and abroad: to stay in Iran and be slowly strangled by the rigors of Iranian society or flee to the West and become irrelevant? The film tells the story of the strained relationship between a middle-class couple, Nader and Simin. Nader is driven by his duty to stay in Iran and take care of his ageing and ill father. Simin, meanwhile, is driven by a need for escape and longs to leave Iran, especially for the sake of their young daughter, Termeh. A series of heated arguments follow between the couple and a climax is reached when Simin leaves home and demands a divorce from Nader, which instigates a series of unforeseen and tragic events. The film was warmly received by audiences in Prague. Martina Spatna, one of the chief organizers of the film festival, says films like "A Separation" are important because they give Western audiences a rare glimpse into Iran’s closed society. “[Our aim was to] introduce great Iranian films to audiences in the Czech Republic and let the people here discover a part of Iranian culture. The achievement is to represent the Iranian culture and to express Iranian reality,” Spatna said. Spatna, who is also the director of the Czech inter-cultural agency, EasyTalk, says Iranian cinema provides a unique link between Iran and the West. “In terms of culture there is a lot to share among the countries. We hope Iranian cinema will produce even more great films, which will be popular around the world so that there might be even more links between Iran and other countries,” Spatna said. Iranian journalist Reza Seddigh, who lives in Malaysia, says cinema in Iran remains one of the few links the country has to the outside world. He says it is vital to maintain that link, even amid growing government pressure on the film industry in Iran. “For independent filmmakers in Iran whose films are not being distributed and screened [for political reasons], foreign film festivals, especially in Europe, are very important as it gives them an opportunity to screen their films. It also allows them to be in direct contact with Western audiences,” Seddigh said. 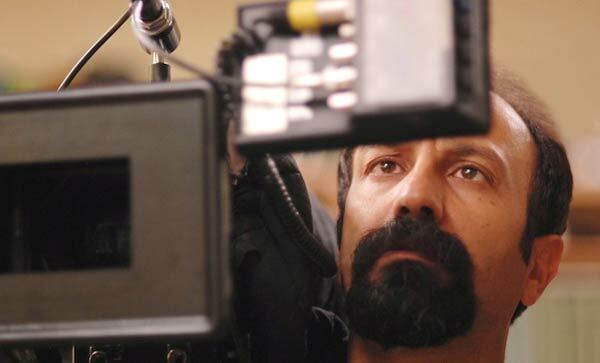 Director Ashgar Farhadi on the set of "A Separation"
Seddigh’s comments come amid a government crackdown on the Iranian film industry, which has been traditionally critical of the Islamic regime. The government has accused the industry of having sympathy with Iran’s opposition Green Movement. Farhadi, as one of Iran’s most acclaimed directors, has experienced the brunt of increasing government censorship. 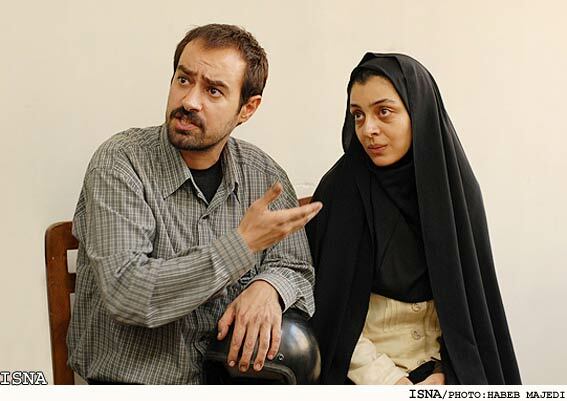 In September 2010, Iranian officials closed the set of "A Separation" for a week after comments Farhadi made at a film festival in Iran, where he reportedly said he wished two dissident Iranian filmmakers, with connections to the opposition Green Movement, were at the event. Farhadi later apologized and production was resumed. A more significant blow to the Iranian film industry was an order earlier this month by Iran’s Culture Ministry to close the House of Cinema, the country’s leading independent film-promotion institute. Disagreements between Iran’s House of Cinema and the Culture Ministry reportedly began in 2009 after it invited a Hollywood delegation to visit the Islamic Republic. Tensions were further fueled by another incident in 2010, when five Iranian filmmakers were accused and arrested for collaborating with the BBC. Watch the trailer for "A Separation"
Iran's Farhadi says Academy Awards winners "unpredictable"
Iran's Culture Ministry Lifts Ban on Farhadi's Film "Separation of Nader and Simin"